As a result of its developing country status, China is the beneficiary of special treatment in the World Trade Organization. China is entitled to more relaxed environmental protections under various treaties and defends its human rights record on the basis of this status – despite now being the world’s second-largest economy. Western governments have catered to various demands in trade and elsewhere, based on the principle that the benefits of engagement with China outweighed the drawbacks. We are now at a point where China’s state broadcaster is able to beam news programs that often amount to little more than propaganda into the living rooms of Americans and Australians. By contrast, access to many foreign news services, including the New York Times and the Wall Street Journal, are banned in China. In diplomatic relations, Chinese ambassadors expect – and agitate – to meet foreign ministers. But foreign ambassadors to China are generally given access to much more junior officials at director general rank (or perhaps the vice minister, if you are the U.S. ambassador). Chinese officials have walked out in protest of international meetings when they are not accorded the same status as ministers. But 2018 saw changes in the U.S. approach to China. In trade relations, the United States has demanded more reciprocity from China. And in December last year, more than five years after it was first introduced by Democratic Representative James McGovern, the Reciprocal Access to Tibet Act of 2018 was signed into law. This law essentially brings the concept of reciprocity back to the table when it comes to access to Tibet. China restricts foreigners from travelling to Tibetan areas – in some cases, by regulation, and in others, by intimidation. 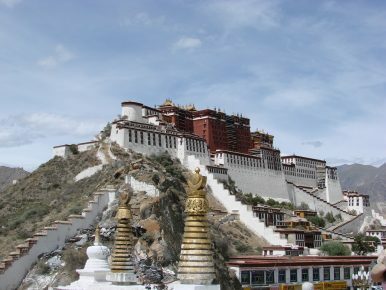 Foreign tourists can travel to Tibet with a tour group at particular times. Unlike the rest of China, journalists and diplomats can only visit Tibet at the invitation of the Tibetan government. But the new U.S. law stipulates that any individual “substantially involved” in the formulation or execution of these restrictions in Tibet cannot visit the United States, as long as these restrictions remain in place. Last week, U.S. Secretary of State Mike Pompeo was required by the Reciprocal Access to Tibet Act to deliver to Congress a report that explains the level of access granted by the Chinese government to Tibetan areas. This report was published yesterday, four days after Congress’ deadline, and stated the Chinese government systematically impeded travel to Tibet for U.S. diplomats and officials, journalists, and tourists in 2018. It noted Tibet was completely closed to foreigners during periods considered sensitive by the Chinese government, such as the Dalai Lama’s birthday in July. The report detailed the restrictions on access and reporting for journalists in Tibet. The consequences of such reporting can be brutal: The Chinese government sentenced Tibetan language advocate Tashi Wangchuk to five years in prison for “inciting separatism” after he appeared in a New York Times documentary. The report points to the travel bans that some Tibetans living in the West have encountered when trying to visit their homeland. Will the Reciprocal Access to Tibet Act inspire some reciprocity from the Chinese system? It seems unlikely, given that senior government officials are now claiming that Chinese travel restrictions are in place in order to benevolently protect foreigners from the dangers of altitude sickness. This claim is particularly absurd given that neighboring Qinghai province has many areas higher than Tibet’s capital Lhasa and is not subject to the same formal restrictions. The more likely outcome from this Act’s passage is a reduction in visits to the United States by official Tibetan delegations. The Chinese system may be sufficiently motivated by this to improve consular access for the U.S. Consulate in Chengdu, which is responsible for Americans in Tibet. U.S. consular officials were prevented for more than two days from attending to a 2013 bus crash in Tibet, where three U.S. citizens had died, in breach of China’s obligations under the Vienna Convention. More than anything, this Act will have the Chinese system watching with concern the congressional push for direct sanctions against individual Chinese officials in Xinjiang, where the Chinese government has interned between 1 and 1.5 million Uyghurs. An earlier version of this article first appeared on The Interpreter, published by the Lowy Institute. Natasha Kassam is a Research Fellow in the Diplomacy and Public Opinion Program at the Lowy Institute. Weathering the Coming Storm in the South China SeaTrump’s World and the South China SeaThe Presidential Politics of US China PolicyUS-China Relations: The Long ViewThe US Is Pushing Back Against China. What Happens If We Succeed?